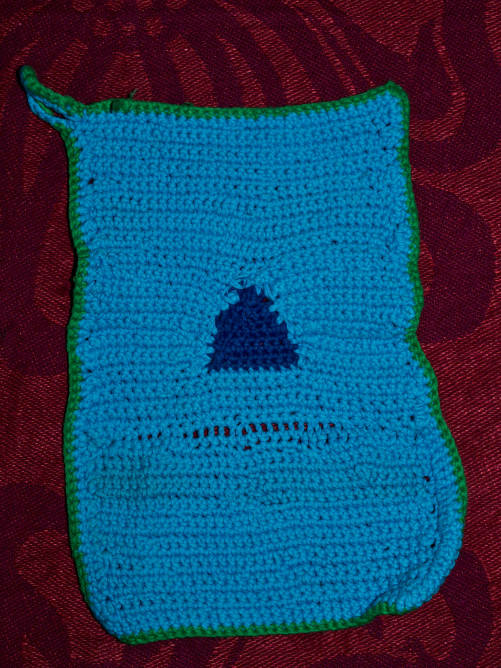 Here is another wash cloth that a friend of mine crocheted last week. I really like the combination of the blue and green colors, and the small triangle in the middle. She used cotton yarn to me the cloth so it wont shrink when it is used. I need to make myself a few of these too, but blogging is keeping me away from crafting.